Conservation groups are suing the Flathead National Forest for not allowing public comment on essential sections of its new forest plan dealing with grizzly bears and bull trout. On Wednesday, the Montana-based Western Environmental Law Center filed a lawsuit in Missoula federal court for WildEarth Guardians and Western Watersheds Project against the Flathead National Forest and Supervisor Chip Weber. The groups contend that forest managers didn’t consider threats to wildlife when it approved more areas for motorized snow vehicles, nor allow public comment on protections for grizzly bears, Canada lynx and bull trout, all species listed as threatened under the Endangered Species Act. The Flathead Forest finalized its updated forest management plan in late December after a few years of scoping, studies and public comment. The previous forest plan dated back to 1986 and had several amendments due to more than 30 decades of change in Montana. The problem is that the section in the new plan on preserving grizzly bear habitat is based on the Northern Continental Divide Ecosystem Conservation Strategy that was made public in mid-June of last year and approved a month later, with no public comment period. That’s a violation of the National Environmental Policy Act, the groups argue. Beyond that, one of the amendments to the 1986 plan set limits on the density of roads in grizzly bear habitat, but the new plan made changes that would allow that density to increase. First, the plan chose 2011 as the baseline for road density, but the groups say that is too recent and allows too many roads to threaten bears in a time when other threats, like climate change, are increasing. They also point out that forest managers never met the goals set by the 1995 amendment, which would have required 518 miles of road in 10 grizzly management units where road density is too high. Studies have shown that humans are more likely to kill grizzly bears in areas with greater road access, and for that reason, most grizzly bears prefer to avoid roaded areas. 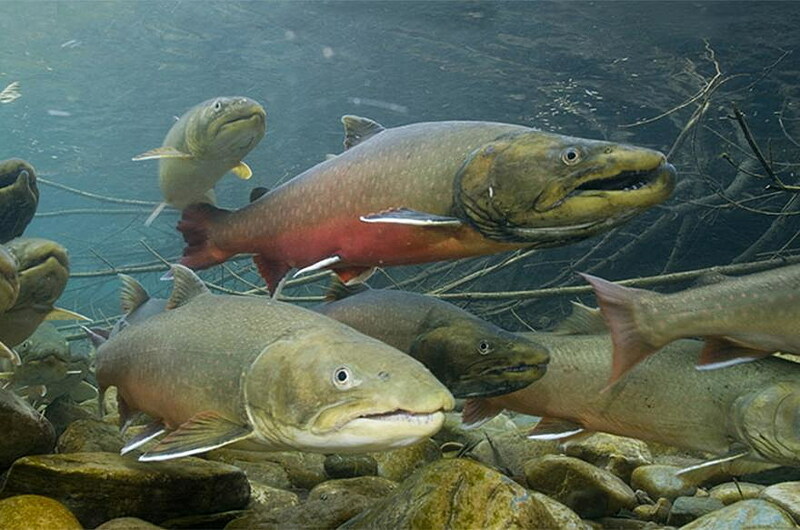 The lawsuit argues that fewer roads would also benefit bull trout, and the new plan should have incorporated protections provided in another amendment to the 1986 plan – the 1995 Inland Native Fish Strategy. INFISH limited or prohibited logging and road projects in riparian areas to keep sediment out of streams to protect bull trout. The U.S. Fish and Wildlife Service said the Forest Service should decommission 16.5 miles of roads because of threats posed by numerous culverts and bridges, but the roads were never closed. WildEarth Guardians and Western Watershed Project won’t be the only groups challenging the plan. In February, the Swan View Coalition and the Friends of the Wild Swan announced their intent to sue the Flathead NF for violating the ESA by not properly protecting grizzly bears and bull trout in the Forest Plan. According to the ESA, groups have to wait 60 days after warning the Forest Service to give the agency a chance to remedy the problem. Fox said her organization would add ESA violations to the lawsuit once the 60-day period was over but she wanted to start their case earlier. “Once we got our ducks in a row on the other counts, we wanted to let the Forest Service know we were serious,” Fox said.